. Honestly, I didn’t know what to expect and as I waited for our class leader, I was mesmerized by the conversations I overheard. “I need a new set of knives.” “My sauté exam is today…” “My beurre blanc was awful.” All around me, culinary students were bustling along the cramped halls and stairways. We were greeted by our interpreter and, after a quick coffee; we were led to a large demonstration kitchen. Desks took up one-third of the room, while in front was a magnificent and pristine kitchen. A large mirror was suspended from the ceiling enabling even those in the back of the room to see the chef’s every move. The room was quiet except for the scurrying of two young assistants. My class was enthralled watching the prep work and I wondered how we would feel when the chef actually arrived. He arrived and we were giddy schoolgirls meeting a rock star. He was everything I thought he would be. An older man, he had a jovial smile, a twinkle in his eye and a delightful cadence in his speech. 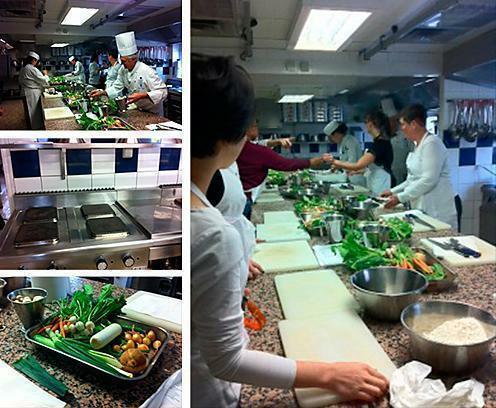 While the class consisted entirely of English speakers, Chef spoke to us only in French, naturally. 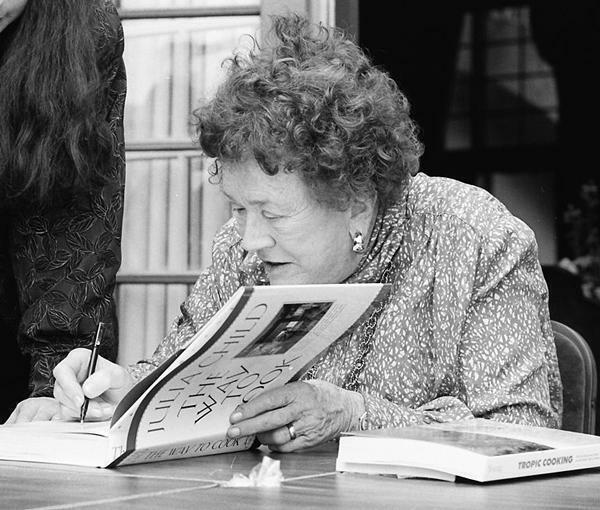 Through his interpreter, we learned the recipes we would learn that day were not specifically the recipes of Julia Child but were dishes indicative of her style of cooking. We were encouraged to take notes and to ask questions. After the lunch break, we would be expected to make the main dish. Do you have what it takes to cook like Julia? I spent the next three hours in total concentration. I took pages and pages of notes. I tried to burn into my brain every nuance, every tidbit of information. I was in awe, when Chef made a tart crust entirely by hand. The baby turnips and carrots for the main dish were hand carved to ensure their uniformity. The mussels were delicately and beautifully arranged on a serving dish. It was all perfection and it all looked so incredibly easy to prepare. We were on our own for lunch and feeling the need to absorb the morning’s information and to relax just a minute, I headed to a small brasserie around the corner. I love places like this in Paris. A small bar in the front led to a cozy restaurant in the back. It was early for lunch so I was alone in the dining room. I looked at the menu board and opted for the plat du jour. Today, and every Saturday, it was a charcuterie plate. What arrived was simple yet comforting and delicious. The dish consisted of a variety of sausages, country pâté, rillettes and various condiments. Together with a basket of crusty bread and a glass of rosé, I felt rejuvenated when I left a short hour later. For the afternoon session, we were escorted to the top floor and into a rectangular room with a large steel table running down the center. This was our workspace and, during our absence, the assistants had placed all the necessary ingredients and tools at each of our stations. “If only the same thing could happen at home,” I thought. I took a position at the end of the table, arranged my cutting board and knives, donned my apron and prepared to receive my “orders”. Behind me was my six burner stove and various pans. I was ready to begin. “You need to get your meat cooking now or you won’t have time to finish,” bellowed the interpreter. To my left side was a four-pound slab of veal waiting to be prepped. I quickly prepped the meat, added it to a pot, covered it with water and allowed it to slowly simmer. While the meat simmered, I began to carve the baby root vegetables trying to emulate Chef’s earlier mastery. While his were carved in a beautiful uniform fashion, mine looked slightly deformed and strangely unappealing. I placed them in separate small skillets to “sweat” and moved to my next task. Within minutes, I heard a squeal from my neighbor followed by the Chef bellowing, “Quel désastre!” I glanced quickly back to my stove and realized that the disaster was not my neighbor’s but mine. I had forgotten to lower the burners and my vegetables were terribly burned. I was mortified but the smile quickly returned to Chef’s face and in perfect English, he said, “Do not worry. We can fix this.” And he did. I placed my food in containers to transport home. Tomorrow, I would serve it to my family. I said my farewells to Chef and thanked him and then headed to a main street to find a taxi to the train station. The next day, we feasted on my creation. I have worn my apron a few times but honestly, I love just looking at it hanging from a hook in my kitchen. I have not framed my “diploma” but maybe one day, I will. The mussel appetizer has become a favorite. As for the tart, well, I cannot come up with the courage to make a tart crust by hand. Perhaps, I need a few more lessons. I know exactly where to go. 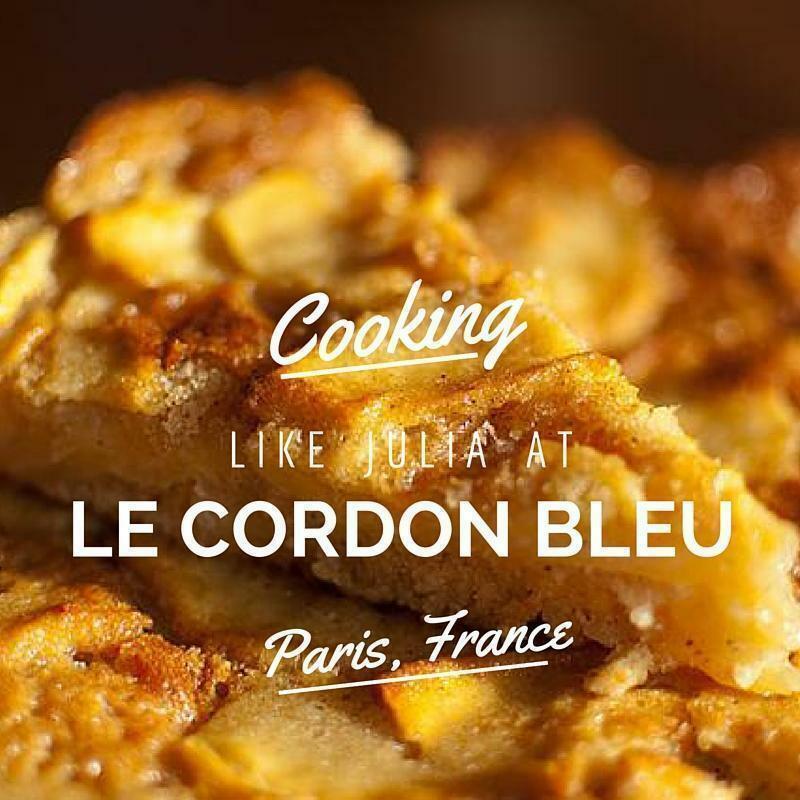 Started as a Parisian cooking school in 1895, today, Le Cordon Bleu is an international network focusing not only on culinary arts but also on the entire hospitality industry. The school is not just for aspiring chefs. It is for anyone who has a love of food. The school’s website makes it incredibly easy to select a course. Most demonstration classes are three hours in length. Hands-on classes typically continue in the afternoon for another three hours. The topics are endless: bread-baking, sauces, macaroons, appetizers, just to name a few. You can even go on a Paris market tour and learn the secrets for selecting the best products. Interested in wine? The school also sponsors trips to the various wine regions of France. I love everything about traveling and food. 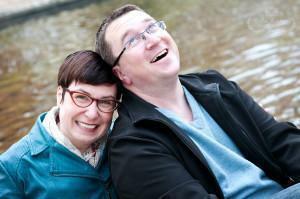 I try to combine the two and am now a freelance travel/food writer/blogger. After spending 18 months living in Germany, we are now based near Mons, Belgium. My husband, daughter and I take every opportunity we can to experience all that Europe has to offer.